Planned Parenthood (“PP”) for years has used the media and fraud to bring in clients when those women could have gone to a family doctor or OB/Gyn. Below are three ways to find a local doctor who participates with the Women’s Health Program in Texas. 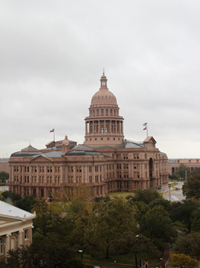 11.From the outset of the Women’s Health Program, the Texas Legislature has explicitly prohibited taxpayer funds from going to entities that perform or promote elective abortions. The Legislature also prohibited taxpayer dollars from funding affiliates of entities that perform or promote elective abortions. See id. § 32.0248(h) (“The department shall ensure that the money spent under the demonstration project, regardless of the funding source, is not used to perform or promote elective abortions. The department, for the purpose of the demonstration project, may not contract with entities that perform or promote elective abortions or are affiliates of entities that perform or promote elective abortions.”). Read the next few paragraphs of the Complaint for comments on dates and on approval of the waiver without restrictions on Texas’ prohibition on abortion providers. Please note that the waiver was requested in December, 2005, and approved in December, 2006, for a period of 5 years, to end December 31, 2011. It is not true, as reported by a spokesperson for Secretary Sebelius, that the waiver was denied. Texas law prohibited State funds from going to any provider who performed or referred to elective abortions beginning in 2003. Under a provision known as “Rider 8,” the State began requiring recipients of Medicaid and Family Planning money to sign an affidavit that they did not perform or refer for elective abortions. Texas won when PP challenged Rider 8 in Federal Court. The various PP sub-corporations in the State then set up separate corporations for the “medical affiliates” that were not licensed to perform abortions and the “surgical affiliates” that did perform elective abortions. These were shams, as all of the corporations came under the direction of Planned Parenthood Federation of America and some even shared buildings and staff. It turned out that 4 of the facilities run by the PP Trust of San Antonio and South Texas didn’t even bother with the sham. They were found to be illegally performing medical abortions, and were fined and shut down in 2009 as unlicensed abortion clinics and for fraudulently billing Medicaid. There are more than 2,500 qualified providers in the WHP. Planned Parenthood represents less than two percent of providers in the WHP. Planned Parenthood’s cost per client is 43 percent higher than most other providers, according to the Texas Health and Human Services Commission. In FY 2010, nearly 80 percent of women served received WHP services from non Planned Parenthood providers. What did happen is that last year, Attorney General defined “affiliates.” Logically, subsidiaries of a given corporation, such as all the “medical affiliates” of Planned Parenthood Federation of America, are “affiliates” of that corporation. PP and their supporters would have us believe that hundreds of thousands of women will go without care because of the Texas law. On the contrary, those affiliates were easily replaced. Thousands of qualified doctors and clinics already participate with the Women’s Health Program in Texas. In Texas, we have “2-1-1,” a State services telephone information line. You can call 2-1-1 from any phone to find all sorts of assistance in your area, including doctors who participate with the WHP. I’ve heard that this may not be the most up to date or complete list, however. Texas Tribune published an interactive map that highlights the color coded stark reality of the differences in numbers and in the distribution of PP versus the many doctors who currently participate with the Women’s Health Program. Notice that Planned Parenthood only shows up where there are lots of other providers. Where there aren’t many doctors, there are definitely no PP facilities. For the most accurate and largest number of WHP qualified doctors and clinics in your area, Texas’ Department of Health and Human Services has a search engine available here. Use the “Advanced Search,” then choose Plan type:”Traditional Medicaid,” Provider type: “Specialist” (although this will actually bring up family physicians and other primary care docs), and Waiver type: “Women’s Health Program.” You can search by County or by Zip Code. Hopefully this information will help you answer the critics of Texas, our Legislature, Commissioner of Texas’ Health and Human Service Suehs, and our Governor Perry.